Planning a Summer Wedding? Here Are Some Do's and Don'ts to Have the Coolest Wedding of the Year! Planning a summer wedding is a hot trend, not just now, but has been for a long time. What's not to love? You're surrounded by flowers, the warm breeze and the white of your strapless, a line cut wedding dress looks fabulous against your golden sun kissed skin. Hold on, let's remember that with the sun, comes sweat. Sweat isn't pretty in your wedding album. So, by all means, plan a summer wedding. But do so with the heat in mind, to make sure that you feel great at the coolest wedding of the year! Here are some simple summer wedding 'do's and don'ts' to both stay cool and look hot! Your guests are going to be hot too. Make them happy they came. No matter how much you and everyone else love the sun, everyone will need a place of respite from those penetrating rays. Whether staying local in a backyard garden, or at an outdoor venue, there needs to be some shade, coverings or even portable air conditioning provided. This is simple and will make a HUGE difference. Another option is to provide accessible water stations at different areas of the location. Just be sure your ushers are refilling the pitchers with both water and ice. Add a slice of lemon for even more refreshment. Instead of your friends and family combining your wedding with a day at the sauna, they will be able to actually be fully present and joyfully supportive. Don't forget to reserve early!! Summer is the main season everywhere for people to get away, vacation and most important to you? Book their lodging so they can attend your special day. SO. If you haven't already, send out those announcements now, so people can plan efficiently! Whether catering a grand meal or providing light snacks, be sure your fare is refreshing and easy to digest. Rich, heavy food and scorching heat don't mix. You won't go wrong with grilled entrees and fresh, local produce. Add mint as a garnish to both food and beverages. Consider a fruit based cake with the option of serving a lemon or berry sorbet on the side. Frozen cocktails of lemon, mint, cucumber and watermelon are a refreshing and even balancing drink option for those looking to unwind with out the added dehydration. Lastly, provide sorbet in little bowls, topped with seasonal berries for your younger guests! It may feel logical, but don't start your festivities at midday. That's the hottest time of the day and both you and your guests will wish they were poolside. The best idea is to aim for a late afternoon, early evening start time. This way, you can schedule dinner around sunset (also a great time for wedding party photos) and allow the real celebrating to take place when people are cool and relaxed and ready to begin the evening. Consider yours and your wedding party's comfort. A bride that's melting and sticky will not feel confident or comfortable for that matter. Choose light fabrics that breathe for the dresses, like silk or cotton, if you're happy to be more casual. Go strapless, sheer or even shorter in length to allow a breeze to cool you down. If you must have that aforementioned a line princess dress, then wear it for the ceremony and photos, but have a cooler, more breathable dress for the reception. A groom can look splendid in a crisp linen suit and leather sandals, or for the ultimate in beach-casual, white pants and a button-down are perfect. Don't forget to protect yourselves! This is the high time for sunburns and bug bites. Remind your guests to wear block and protection. Keep in mind that many bug repellents have an awful smell. Be sure to look for ones with a lavender or other floral fragrance. People are going to be sweating, undoubtedly. No matter how much deodorant is being used, the odor will still manage to migrate. So, instead, line the aisles with lavender, jasmine and gardenia. You could tie little sprigs of them to the ends of each chair, have them in antique vases here and there and as little accents on tables at the reception area. Just add flowers. We are excited to walk you down the aisle of your wedding planning and even more delighted to be able to offer a custom cake, made to your liking. Ontario Bakery is family run and owned - and is proud to stand with you on your day. Quick! Here Are 5 Spring Wedding Cake Ideas for the Procrastinating Wedding Planners! Your wedding is an exciting time in your life and you are busy planning away!! Don't you hate it when you realized you waited a little too long to plan for your cake? Well, if your wedding is set for anytime in June, these spring cake ideas are filled with great last minute ideas for all of you lovely, procrastinating wedding planners out there! From accents to flavors, we have got your covered. So, if you still haven't ordered your spring wedding cake, here are our favorite spring cake ideas! What's more suitable than choosing to go with a wedding cake that summons a taste of spring with in-season berries and fruits? No longer bound to the traditional butter cream filling you are now free to entertain the horizons of a fresh strawberry puree filling or even a lemon cake with blackberry filling. If you love chocolate cake but still want a taste that reflects the season, try a chocolate cake filled with chocolate cherry ganache! Fruit fillings will always get your taste buds excited about the sunshine! Your options are many with the flowers of spring, as they can go a long way in defining the theme for your wedding cake. Feel free to match your cake to your bouquet by asking your baker to create sugar versions of your wedding day flowers. Or, add some more flowers to the mix by simply choosing a different floral look on the cake that will only add to the garden of blossoms that define this beautiful season. Adding sugar versions of cherry blossoms, hibiscus, jasmine, daffodils and dogwood are all beautiful climbing up a vanilla ganache cake! Going a little further with the above point, when it comes to a spring cake, flowers, butterflies, and other elements made out of chocolate, sugar, or gum paste are obvious options for cake accents and toppers. Just be sure not to go overboard with these add-ons to get a springtime look. Going overboard will make it look cluttered and steal it's desired feeling of elegance. Keep it simple. Added bonus? It will photograph *much* better. Maybe you've already got your heart set on a cake design or you've decided to take your cake in a not-so-seasonal direction but still want the season's influence. You may want to consider offering a spring-inspired side with your cake. Serve your cake with gourmet lavender-infused ice cream; add a handful of chocolate-covered cherries to each plate; or have each table and seat provided with a petite bowl of spring berries to add to the cake or ice cream! There are many options, but your days are running out! We want your wedding to be the best and most beautifully memorable day possible! 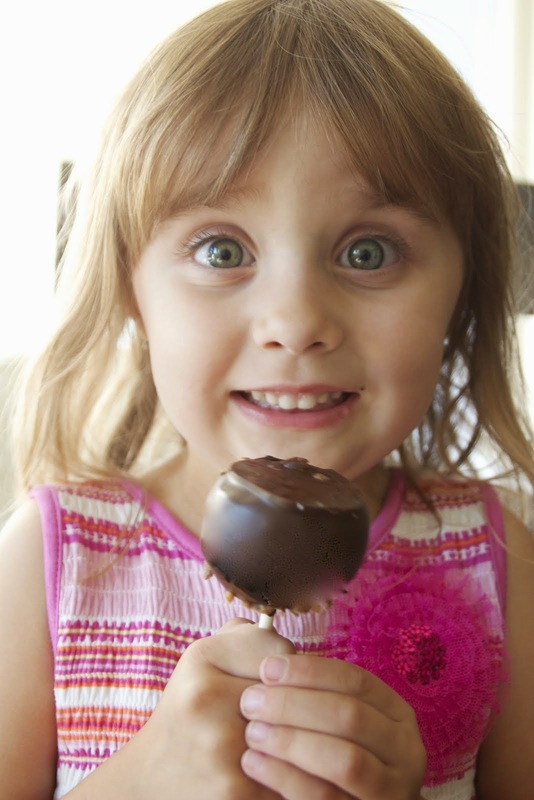 Please let us, at Ontario Bakery, know just what we can do to make your special celebration an even sweeter one! Skip the "Tie-Giving" This Year. Here Are 7 Special Ways to Honor Dad on Father's Day! Father's Day is quickly approaching. Do you already have a plan for how to celebrate this incredible person in your life? He has guided you and loved you through ups and downs. He has nurtured and held your precious children with gentle strength. He has fought wars, built homes and business, grown up, has been there as a shoulder to cry on and has become a hero in his children's eyes. Why not skip the 'tie giving' this year and celebrate him in a way that touches his heart? Here are some creative things to do with your favorite dad on his very own special day! 1. Together, watch a family video of your father playing with you when you were an infant or a child and enjoy the laughs! 2. Gather your siblings together and make your own tribute video about your dad and his role in your life. 3. Similar to the above, make an audio recording mix of past conversations you've had with your dad. Include jokes you told when you were a child, alternating with messages of thankfulness that you record now. Feel free to include your siblings or keep it as your own! 4. Write a short essay or poem about a beautiful memory you have of your father. Perhaps even ask your dad to right one as well, maybe about a mile marker in your childhood. Read each aloud to each other and let the moment flow into the beautiful conversation that will follow. 5. Make a list of a few of the major lessons or skills your father has taught you and frame it. Wrap up and present in front of the family, or personally! 6. You can't go wrong with a game night! Maybe it's traditional, but add pizza (or dad's favorite food) and you may just have the perfect celebration. It can be hard for us to slow our schedules long enough to indulge in some play time, but it can create a beautiful moment that will bring you closer together. 6. Get creative and fantasize together about how life would be different if you did something beautiful together for a charitable organization, or if you each had your own dream house, or what the perfect career or dream vacation would look like. Take notes. This is will not only let you each into each other's ideals and aspirations, but you can even create a short story from the list, as though 'once upon a time' your hero made his dream happen! 7. Spread pictures of the family all over the dining table or living room rug and simply go back in time, recalling the beauty, sadness and adventure you have experienced together! Of course, you can always still go out to lunch or dinner or even have a party. Those are just some creative suggestions for a more meaningful Father's Day. 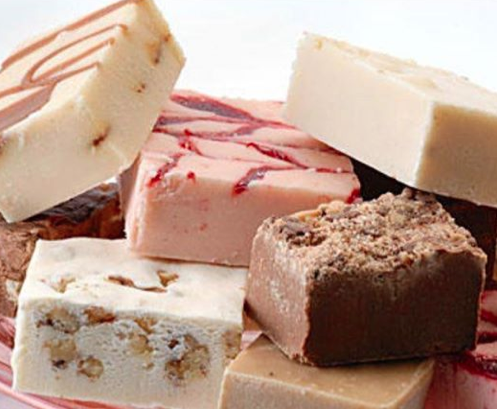 As usual, you can depend on Ontario Bakery to make your celebration even sweeter with our wide selection of cakes and other delectable delights! Call us now, and let us know how we can best honor your dad this Father's Day! 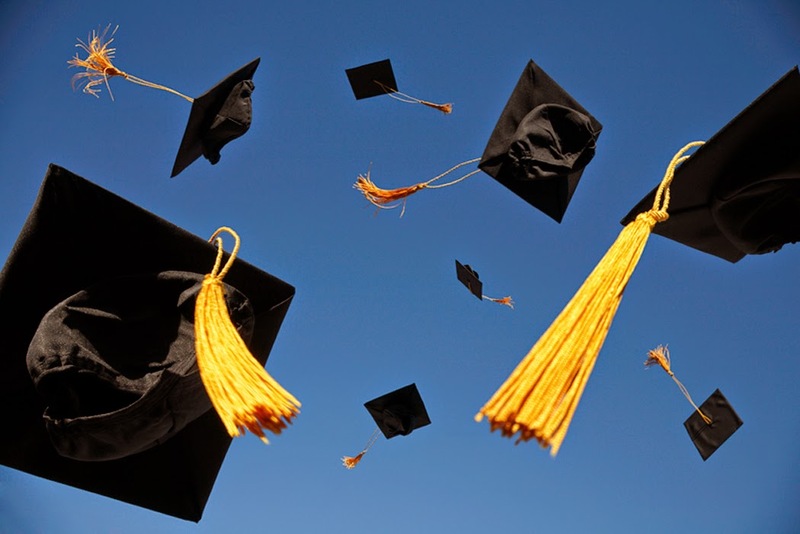 5 Simple Ideas for Making a Great Graduation Party! Throw a 'top of the class' graduation party for the successful student in your life! After all, they've worked hard the past few years, hitting the books! It's time to let it all loose and celebrate their accomplishments with a custom cake party designed just for them! Don't be afraid. You don't need a massive budget to throw a stellar celebration! You just need some creativity and know-how to gather the right people at the right place with the right things, to leave a lasting and enjoyable memory! Here are some simple ideas for a making great graduation party even better! Get large cookie cutters and place them on the table with a table cloth or platter underneath. then fill in each cookie cutter with different treats from seasoned almonds, to candies and baby carrots! Your guests will be happy to pass by and grab their favorite snack, all at your ease! Take the smaller cookie cutters and cut out numbers or other shapes out of sliced watermelon! Place a wooden skewer through the shapes and freeze! Then, take them out later for eating or even better, add to freshly poured lemonade! Delicious, creative and refreshing! Using an smart phone or camera on a tripod, your guests can easily enjoy the fun of an in-home photo booth of the widely loved 'selfie' to remember the special day. Make a back drop with curtains, a poster or even a sign that congratulates your graduate. It will create so much fun!! Make either the colors of the last school or the next one be the color theme of the whole party! You can do this with balloons, plates, cups and even the icing on the cake! Your guest of honor will be so proud to walk in to a room filled with the colors of his accomplishment. Cakes have been used for hundreds of years to celebrate major events in people's lives. From love and commitment to celebrating accomplishment, a cake is a way for people to know that they are loved and valued. Everyone gets to come together and, literally, take in the sweetness of the day and mood in the air. 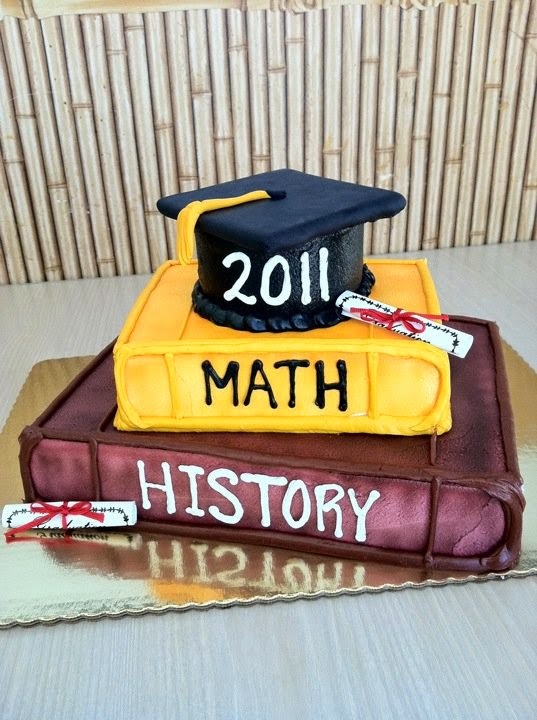 Whether cupcakes, cake pops or a traditional cake, you can decorate each with the school colors, the graduate's favorite colors or even just keep it simple and fun! What ever you choose to do, Ontario Bakery is here to be of service on your special day! We are honored to make the cake that best honors your celebration in the sweetest way possible!! Time Flies & Your Baby's Finally Graduating. Are You Ready? Time flies and your little baby is now all grown and ready to graduate from one life chapter and is heading into the next phase of maturation, understanding and experience. WOW. That's a lot to take in and it's not a big surprise if you find yourself overwhelmed and experience a variety of mixed emotions. You are a the parent of a child who's bellies you've fed, owies healed broken hearts nurtured. And now, they are headed out into the great big world. You have a lot to be proud of! Regardless of what journeys you've gone through in the past and lessons learned, your child is finally becoming an adult and ready for more life. You've cried, laughed and loved them through this. GOOD JOB, mom and dad! You are now ready for the next great adventure!! It can be a lot to take in, for your child as well, as they are about to jump into the untouched frontier of their personal adulthood. So, now that we've got YOU realized how much of an exciting honor it is, remember that in your excitement, your new adult may have mixed emotions about the whole thing and will likely need some extra support. Whether just through being there or through empowering conversation, they need to know that you believe in them. It means the world. Once they're on board, it's time to celebrate. Now, another thing to keep in mind is that they aren't kids anymore. I know I've made that point already, but it's important that you remember when it comes to party planning. Parties are sensitive subjects at this age, no different than all the other major life change celebrations! Some teens will want a fuss and others will want a relaxed time with family and friends. Talk to yours and see what feels right. It's their party, after all... let it be to their liking! Once you decide your theme, location and who to invite, make some things clear to those invited. Teens moving in to adulthood don't like to be showered with over emotion on how fast they've grown over the years or with tips on how to survive the scary world. Encourage family and friends to simply be encouraging on their path and to show your son/daughter that they are believed in. After all, they came this far and can do anything they put their minds to. Remember to celebrate. This is a joyous, emotional, scary, exciting and liberating time for the whole family. Celebrate the changes in life just like the seasons. Know that each time has a purpose and prepares us for the one to come. Ontario Bakery supports your family through their joys and thrills in life and we can't wait to be a part of more to come. Let us know how we can best serve you as graduation season draws near! Mother's day is a beautiful holiday but is also very emotional and painful time for those who have lost their mothers and cannot celebrate the way they would love to. That is SO hard. All around, people will be with their loved ones but you could be stopped in your tracks just fighting the sadness and frustration. Ontario Bakery is a family run business, so we know the importance of family bond and celebration. We want to support you during this holiday even when it's not as joyous as you'd like it to be. So here's what we'd like you to do. Your pain is real. You absolutely don't need to spend the day pretending that you are ok, or that everything is fine. If you were very close to your mom, sister or aunt, you're going to wish they were here, wish you could spend the day with them. After all, you loved her, right? So you're human and sadness is a normal response in this case. Hold that space for your loved one. It's totally ok.
Once you've acknowledged your pain, it's time to celebrate the person you miss. Think of their grand and beautiful qualities. Recall memories of different stories that you and the rest of your family remember. Share them. Laugh and cry together. Think of the fun they would have if they were with you now. And even better, think of how proud they'd be if they knew you were joyfully celebrating their life? Make it beautiful. Depending on why you lost the one you love, maybe reach out to people in similar situations. If it was illness or age, visit people in hospice care or who are in active treatment. Bring gifts to a hospital recovery ward. (with permission, of course) Write a card to your loved one's closest friends reminding them to celebrate her life today. Using breast cancer as a perfect example, wear pink on Mother's Day. Stand up and support the ones still fighting. You will feel so good, to carry on their honor in this way. This is a time to not only celebrate the ones you've lost but to live with gratitude for the one's you still have. This is your chance to show love and honor to the people still around you. Life is asking that we make the best in every situation; that we live to our fullest and find beauty in every corner. Stop, on Mother's Day, and say a prayer of thankfulness for those who've come and gone and for those that remain. Blessings to your Mother's Day this year! 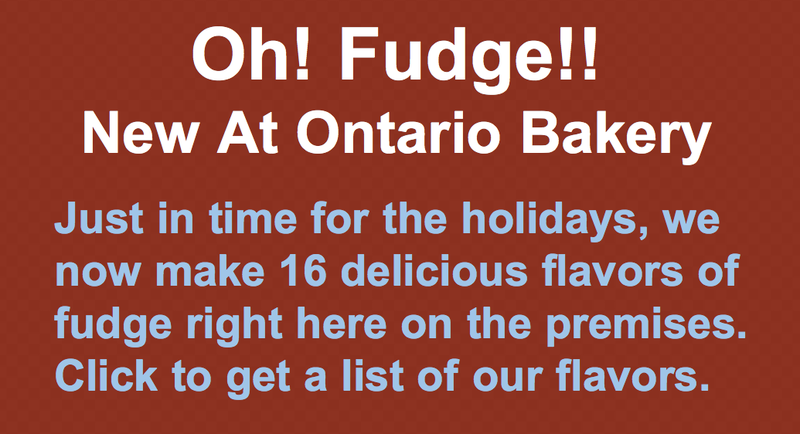 If we at Ontario Bakery, can help make this day any sweeter for you, just let us know!